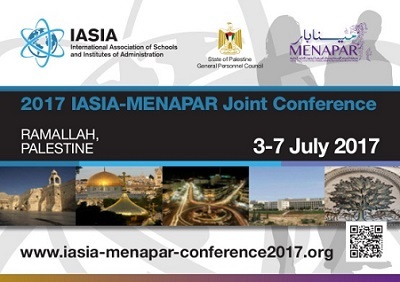 SESRIC collaborated with the International Association of Schools and Institutes of Administration (IASIA), the Middle East and North Africa Public Administration Research (MENAPAR) Network and the General Personnel Council in the organisation of the “IASIA-MENAPAR 2017 Joint Conference on Public Administration under Pressure” on 3-7 July, 2017 in Ramallah, Palestine. This five-day conference aimed to develop and modernize the civil service and public administration systems in the State of Palestine and benefit from the international expertise of participating countries under the theme of “Public Administration under pressure: Towards a resilient, responsive, collaborative and transformative public administration”. The Conference provided a great opportunity for experts, researchers, decision makers, academicians and practitioners in public administration and governance at the regional and the global levels to come together, present their researches and transfer their experiences, innovative and modernized ideas with a view to contributing to the activation and development of public administration at the local, regional and international levels. For more information about the Conference please visit the official website http://iasia.iias-iisa.org/2017-iasia-menapar-conference/.